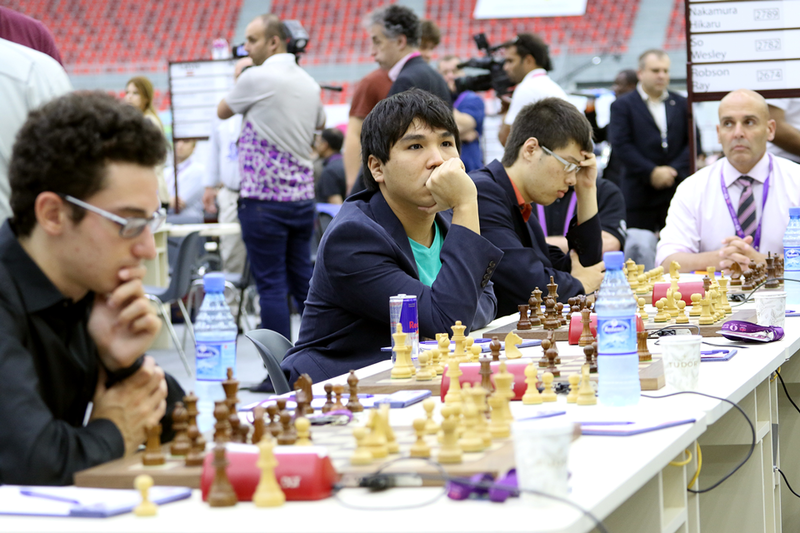 The United States Chess Team took first place in the 42nd Chess Olympiad in Baku, Azerbijan, with one current and one former Webster University student as essential members of the five-man team. With three of the five players ranked in the top 10 in the world, this is the first Olympiad Gold for the United States since 1976. Grandmaster Ray Robson, a current Webster University junior and member of the SPICE (Susan Polgar Institute for Chess Education) program, is a prominent player on four Webster University Final Four Championship teams. Robson, born in Guam and raised in Florida, became the national champion in the elementary (K-6) division. At Webster, Robson is majoring in International Studies and also playing tennis. 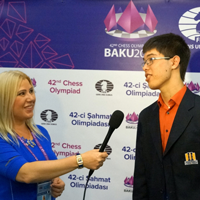 Another member of the championship team, grandmaster Wesley So is a former Webster University student who participated in the SPICE program for more than two years and was a member of two of Webster University Final Four Championship teams. Born in Bacoor, Cavite, So was identified as a child prodigy when he began playing chess at the age of six. He represented the Phillipines, and in 2012, became a full-time student at Webster as a member of SPICE. In 2014, So transferred to the United States Chess Federation and left Webster to focus fulltime on chess. The American team, captained by international master John Donaldson, defeated the leading Ukrainians in Round 11 of the Olympiad; Ukraine was followed by Russia, India and Norway. The U.S. team’s victory holds historic significance: When the U.S. last won gold in 1976, the USSR and other Communist Bloc countries did not compete due to a boycott. The previous U.S. gold was won in 1937. Webster University’s SPICE program, founded by former women's world champion Susan Polgar, currently has a total of 23 diverse and talented students. Four are African American, and the team includes members from Russia, Ukraine, Vietnam, India, Azerbaijan, the Dominican Republic, Indonesia, Colombia, Israel, Czech Republic, Mexico and Uzbekistan.